When is the ideal time to confirm about medical abortion? 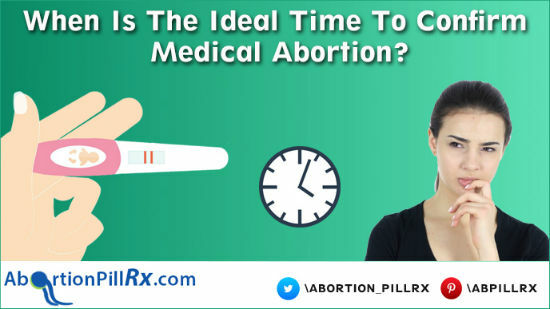 When is the ideal time to confirm medical abortion? A woman who is undergoing a medical abortion may just get intuitions that the abortion process has got completed. However, confirming the same is required to identify complications if any and treat them at the earliest. If you have bought abortion pills online, the website is most likely to give the guidelines to perform the medical abortion. Follow the method as instructed so that there will not be any complications and the pregnancy termination will be successful. When you buy abortion pills online or from the local pharmacies, people receive two primary medicines, Mifepristone and Misoprostol which are required to terminate an unwanted pregnancy. How will you know that the medical abortion is getting complete? The first medicine in the drug combination may not show any visible changes in the body, however, it stops the growth of the pregnancy through hormonal changes in the body. The second medicine in the combination which causes contraction of the uterine lining. This eventuates to 2 primary after-effects in the body which are listed below. The bleeding starts within a few hours or it can take up to a day to begin bleeding. This is an important indication that the process of medical abortion is reaching towards completion. The bleeding is typically heavier than the normal periods. It reduces after a few days. You may suspect blood clots which may be of a lemon size or less than that. This phase of the medical pregnancy termination can last up to a week or more. Another symptom of medical abortion is abdomen cramps caused by the second tablet. These cramps can be similar to the period cramps which last up to a few hours. When you stop cramping and bleeding, this can be an indication of pregnancy termination process getting complete ed. However, one must not rely on the symptoms. You must validate. Even though the bleeding stops, the body takes time to regularize its natural mechanism after an abortion which can take up to a few days. Since the entire process of medical pregnancy termination goes for 14-15 days, it is best to perform a pregnancy test after that. How should you confirm the medical abortion? 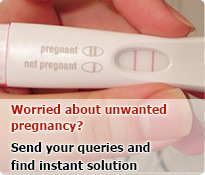 If you have bought MTP kit online to end your pregnancy, you can also buy preg test card online from the same website. The card allows you to perform a home pregnancy test and identify your pregnancy status. There are other methods too. You can perform an ultrasound test to check if the pregnancy contents have been removed properly and you’re not pregnant anymore. Sonography is also a widely used method to confirm the efficacy of abortion pills. This method is more likely to give you accurate results. However, research has found that women prefer privacy over accuracy and hence select home pregnancy test card to confirm the status. The method is also economical for many. Whichever method you choose, ensure that you perform it at the right time and perform it in the right manner to get the best results. This entry was posted in Medical abortion and tagged buy pregtest card online, Mifepristone and misoprostol, MTP kit online on August 13, 2018 by admin.